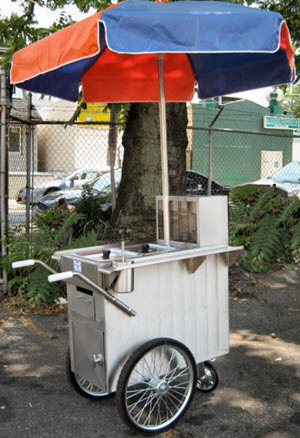 Resembles our full-size New York City Hot Dog Vending Cart, but designed for caterers and backyard parties! 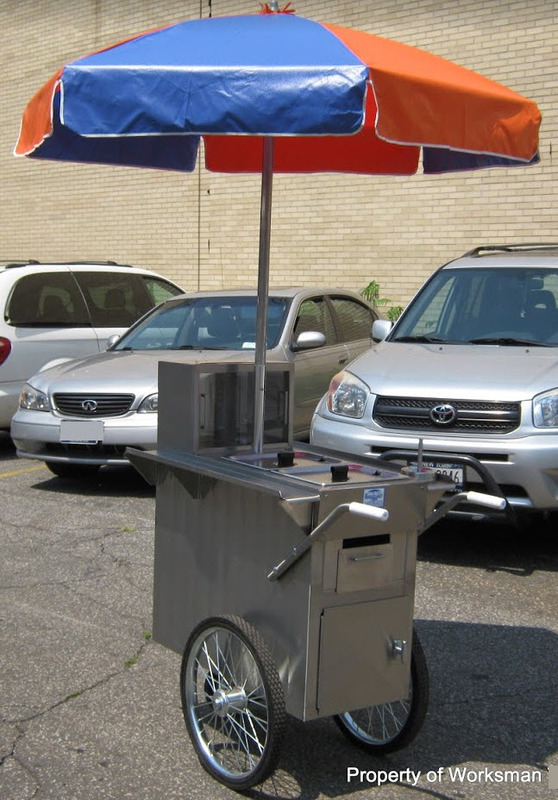 This scaled down version of our industrial New York City Hot Dog Vending Cart is ideal for parties, catering, rentals, corporate events and even for the backyard. 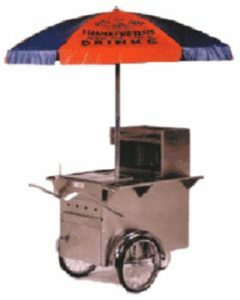 We build our Hot Dog Party Cart with the same quality that has made Worksman and 800 Buy Cart the leader in mobile cart manufacturing. The V-150P is not only a very affordable hot dog cart, it also turns any event into a festive occasion. It’s small enough to fit through most doorways and easy to transport. Comes with an Authentic New York City Styled Hot Dog Umbrella, one thing you can’t get anywhere else, after all that’s where this cart is born. Dimensions: 25.5″ W x 36″ L x 46″ H. Weight: 120 Pounds. Ships fully assembled via common carrier truck. Our vending legacy also includes the Admar line of Hot Dog Carts, the very first manufacturer of all Stainless Steel Carts. 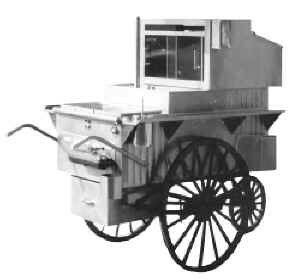 Admar Carts appeared on almost every New York City street corner for several decades. Today we make a complete selection of mobile food vending equipment. Many well respected international food companies utilize our carts for street vending, sampling programs, brand building, stadium vending and much more. Need a larger Street Vending Cart? Be sure to check out our 201 Series which can be upgraded to include a trailer! Call our Vending Specialist for details!